Everyone has heard of Julia Child, her masterpiece, “Mastering the Art of French Cooking,” and her popular television program; but what I learned and loved about this book is how Julia stepped onto the culinary stage and became a legend in the culinary world. , and finally in May 1960 got word that her book proposal had been approved by Knopf. As I read the letters of Julia and Avis, I felt inspired by their friendship. Their correspondence tells of recipe-testing, technique trials and the search for clear and understandable descriptions. I could relate to the tough choices about which recipes to include, or how to explain rare ingredients, or how to specify details such as best pan size. How often do you read a book that changes your life? I’m adding these five life lessons into my recipe for success. 1. Be generous. When you can help someone, don’t hold back. In 1952, more than half a century before Facebook, Julia Child responded to a journalist, Bernard DeVoto, who ranted against the American kitchen knife. Julia, living in Paris then, sent him a carbon steel paring knife. 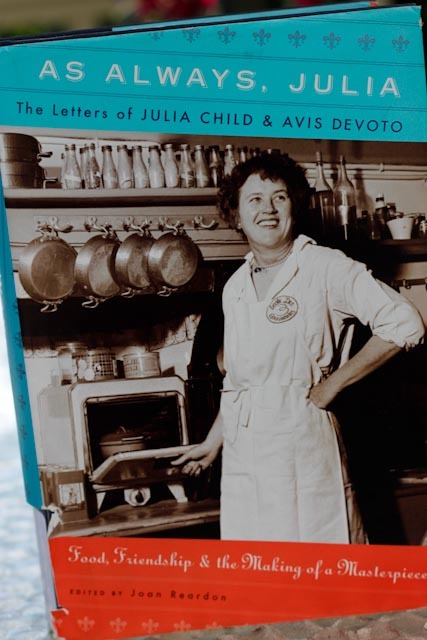 That act of kindness was the beginning of a lifelong friendship between Julia Child and his wife, Avis DeVoto. The journalist’s wife, Avis DeVoto, responded with a letter of thanks. Like many of today’s Facebook “friends,” Julia and Avis corresponded for nearly three years before they finally met one another in July 1954. 2. Collaborate with people who share your passion. 3. Focus on quality, and keep your standards high. Julia Child - She Never Gave Up! Julia focused on doing her very best while she worked on her book. This excerpt is taken from her February 12, 1953 letter to Avis. This excerpt is taken from her February 6, 1955 letter to Avis. Julia Child worked on her book for ten years. 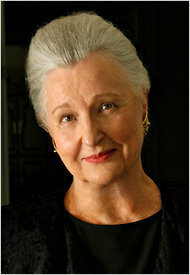 In Paris, she began her formal culinary education at Le Cordon Bleu in 1949. She found friends who shared her interest and perspective on food. 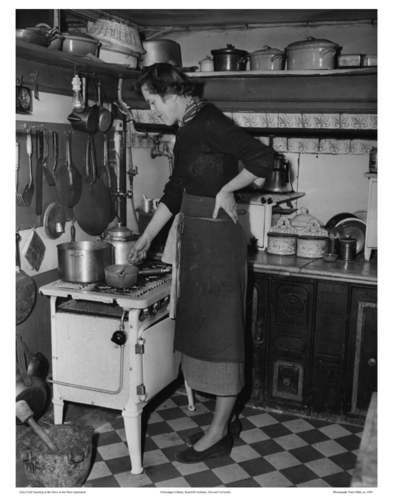 In 1952, Julia, along with two friends, taught cooking classes. The three women teamed up to create a cookbook. The book was published in October 1961 by Knopf. By August of 1962, 100,000 copies were sold and by 1974, sales rocketed to 1.4 million books. Julia’s television series, “The French Chef,” was broadcast between 1963 and 1966. 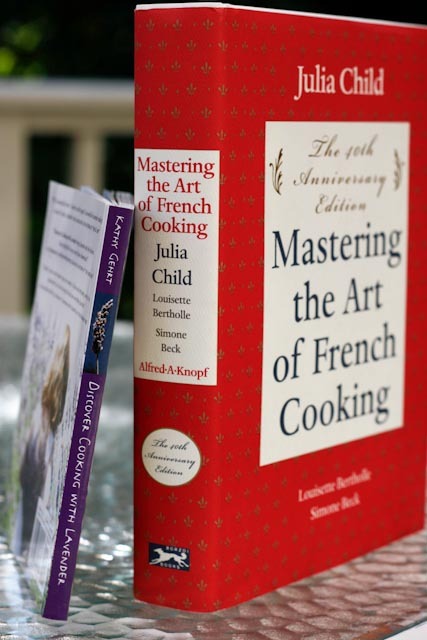 In 2009, the film “Julie and Julia” attracted more attention to Julia Child and her book, “Mastering the Art of French Cooking.” Book sales soared. Today this book is considered one of the most influential works in American cookbook history. 5. Lighten up and be playful. These women had fun and adopted a playful approach. When I read their letters, and noticed how they lightened up the moment with a chuckle here and there, I realized their light-hearted style added fun by spicing up everyday lives. I will give you several of my favorite examples. Avis DeVoto "Foster Mother, Wet Nurse, Guide and Mentor"